Access to land is one of the biggest challenges for sport hunters these days, and various forms of fee hunting can allow ranchers and other landowners to capitalize on resources they already have. These arrangements potentially can generate significant supplemental income, but of course a successful – and sustainable – hunting enterprise involves more than setting a fee and watching the money roll in. The first requirement, naturally, is a good population of game animals, whether they are big game such as deer or elk, upland game birds, waterfowl or a combination. Creating, maintaining or improving habitat for the selected game species can entail extra labor and expense, and managing land for wildlife along with cattle can involve some tradeoffs. Allowing brushy habitat to grow, for example, might reduce grazing areas, forage production and carrying capacity for cattle. 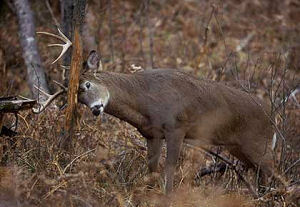 Large populations of deer or elk compete with cattle for forage, and happily eat winter supplies of hay. Income from the hunting enterprise needs to account for these costs. Also, hunting regulations vary considerably from one state to the next in terms of length of seasons, bag limits and permitting requirements for hunters. These differences can influence the value of hunting leases and the types of private-land hunting enterprises that would appeal to hunters in that state. Success of any business enterprise, including fee hunting, depends on business planning, marketing, accounting and legal considerations, and ranchers considering adding a hunting enterprise can benefit from education and expert advice. A good place to start could be at Texas A&M’s King Ranch Institute for Ranch Management. KRIRM is offering a symposium this fall, October 27 and 28, titled “Practical Management of Hunting Enterprises on Working Ranches.” The symposium will cover business and wildlife management and feature speakers from ranches around the country sharing their experiences. For more information, visit the King Ranch Institute for Ranch Management Web site, or call 361-593-5401. 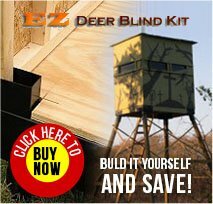 For further questions, contact scott@deertexas.com or call 254-666-9239.